I want to hug this book. Ugh. I can’t even. This book is haunting. It is exhilarating. It makes you see the world in a whole other way. Like it makes me like turn into the Southern California girl I have buried deep inside me and horrible grammar and words that add nothing to the sentence (ex: like) spew out of me. But my Dear Lord, I don’t even know what to really say about this book except, please read it. I can’t explain it. I won’t. Just read it. PLEASE. Incapable. Awkward. Artless. That’s what the other girls whisper behind her back. 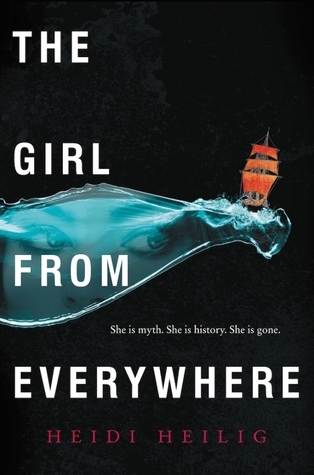 But sixteen-year-old Adelice Lewys has a secret: She wants to fail. Gifted with the ability to weave time with matter, she’s exactly what the Guild is looking for, and in the world of Arras, being chosen to work the looms is everything a girl could want. It means privilege, eternal beauty, and being something other than a secretary. It also means the power to manipulate the very fabric of reality. But if controlling what people eat, where they live, and how many children they have is the price of having it all, Adelice isn’t interested. 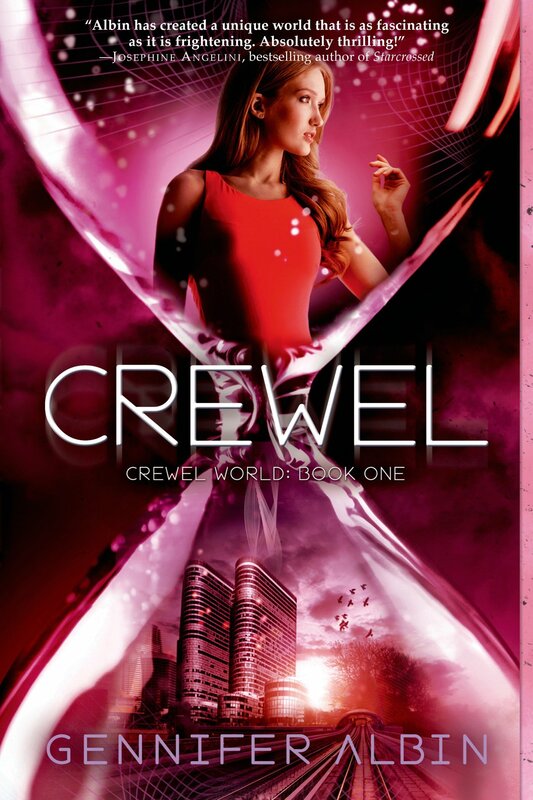 Crewel is the first book in Gennifer Albin’s gripping young adult series. I’d never heard of Ms. Gennifer Albin which nowadays is probably a good thing for authors. It’s rare when you’re a blogger and you NOTHING about the author. News travels fast in this industry. Woah… this was an intense book. It’s been at least a little over a week since I finished it and I still can’t fully digest it. The world Ms. Albin created is so different yet it almost seems plausible that it messes with your head so much that you’re left stupidly smiling yet utterly confused. Confused in a good way though. This is 100% a young adult science fiction novel. I don’t even think we find out what year it is so I can’t even say it has a little bit of dystopian in the mix at this point, but I can assure you that we will know by the end of the second book (or at least I hope we do). What I really liked about this book was the entire concept of weaving. In Crewel, you can weave something in or out of existence. Very few are those that have that gift. The main character is one of those few that can weave and what is so amazing about her is that she can weave without having to use the special weaving board provided by Arras (whom is the country/government). I started reading this book assuming it was more contemporary or murder mystery. I didn’t understand why it was in the adventure/fatansy/sci fi section at Barnes and Nobles until things started getting freaky. It is because of the vague assumptions I made about the content inside this book that made it ten times better for me. I loved the roller-coaster feeling I had the whole time I was reading it. It got nerdy, it got very science fiction on me, and I loved it. The first thirty pages were amazing. It set the tone for the rest of the book. Elizabeth Norris is a talented writer. I really liked the main character Janelle because she took the attention of herself. 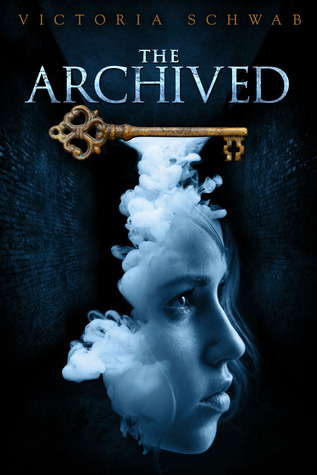 The first half of the book we really got to understand and know the secondary characters and even though the story is being told through Janelle, like I said before, she took the attention of herself and it really helped with the character development. I know that may sound weird, but trust me on this. 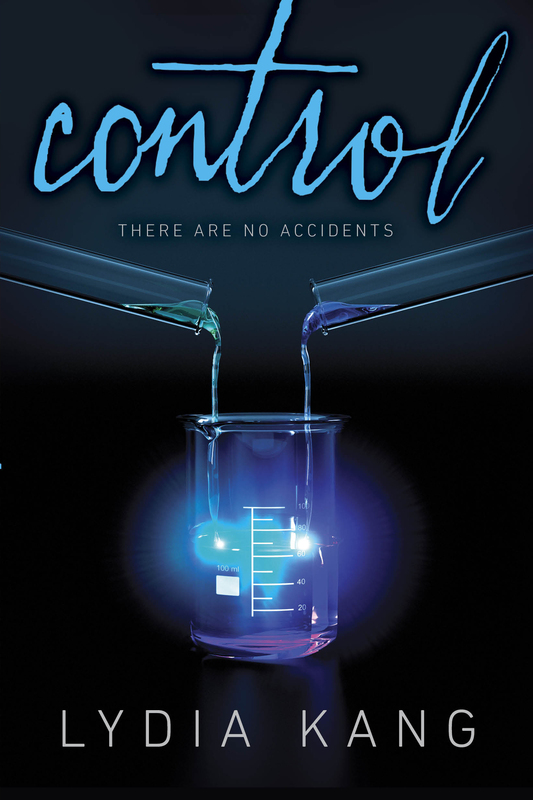 I liked the plot and the world Ms. Norris created. The story freaked me out a little bit because it is set in today’s world and the things that happened could very well happen today. Ms. Norris knows how to mess with your mind. I have zero negative comments about this book. I loved Unraveling. The characters, the world, the plot, I loved it all. I highly recommend this to anyone.